A court has remanded Ihor Pavlovsky, a former assistant to Member of Parliament from the Petro Poroshenko Bloc faction Mykola Palamarchuk, to custody. According to journalists, Pavlovsky is allegedly an intermediary between the organizer of the murder of Kherson activist and advisor to the mayor in Kherson Kateryna Handziuk. "The court arrested Pavlovsky in the Handziuk case. The SBU detained him on Saturday on the suspicion he was an accomplice," SBU Spokeswoman Olena Hitlianska told the Kyiv-based Interfax-Ukraine news agency. Larysa Sarhan, the spokeswoman for the Prosecutor General's Office (PGO), said the court had remanded Pavlovsky to custody without possibility of bail. "The Handziuk case. On Saturday, Pavlovsky was detained in Kherson. Today [Monday, November 12] the court detained Pavlovsky without bail (Part 3 of Article 27; Paragraphs 4, 6, 11, 12 of Part 2 of Article 115 of Ukraine's Criminal Code). The PGO and SBU continue to investigate," Sarhan said on Twitter on Monday. Part 3 of Article 27 of Ukraine's Criminal Code refers to types of accomplices, and Part 2 of Article 151 to premeditated murder. As was earlier reported, an unidentified person poured concentrated sulfuric acid over Handziuk in the vicinity of her house in Kherson on July 31. The victim suffered severe chemical burns and had to be taken to the local hospital. Soon she was transferred to a hospital in Kyiv. 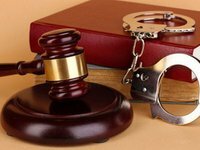 Investigators changed the qualification of the attack on the victim to completed crime under Clauses 4, 6, 11 and 12 of Part 2 of Article 115 of the Criminal Code of Ukraine (premeditated murder committed by a group of people, for mercenary motives, with particular cruelty, contract killing). In early November, journalists Oksana Denysova and Tetiana Nikolayenko in their Telegram-channel announced the name of a likely intermediary between the customer and the organizer of Handziuk's murder. According to the journalists, Ihor Pavlovsky, an assistant to MP Palamarchuk, who transferred money the contract hit to Serhiy Torbin, suspected of organizing the murder, is allegedly the intermediary. On November 5, Palamarchuk said that he had nothing to do with the attack on Handziuk. On November 6, Palamarchuk dismissed Pavlovsky as his assistant.